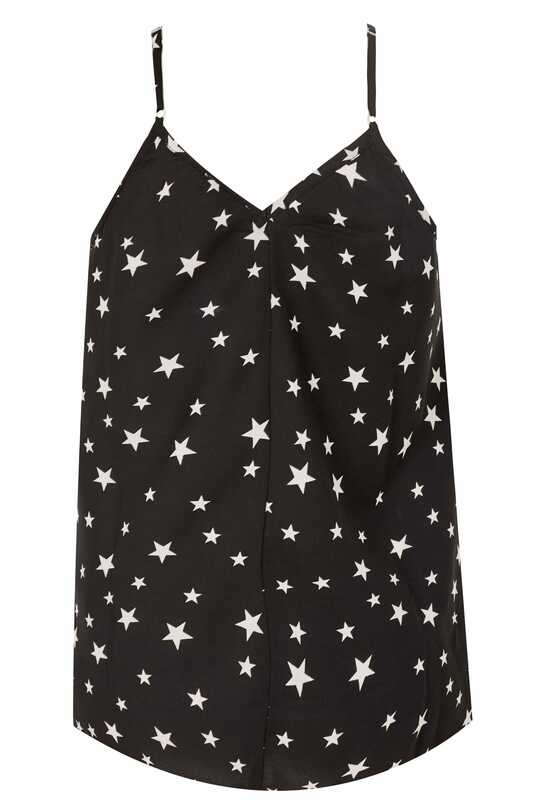 Add a touch of glam to your party wardrobe with this Yours London cami top. 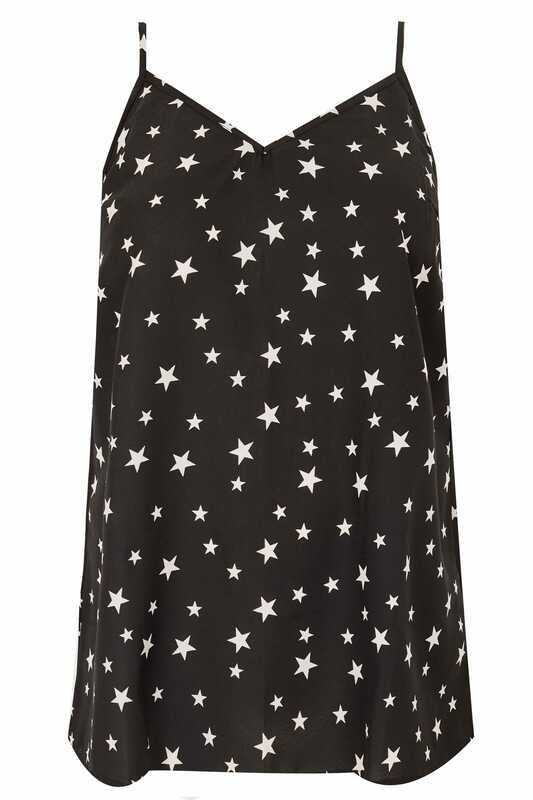 Woven from a lightweight chiffon fabric, it features an all-over star print, adjustable straps and a flattering v-neckline. Team with black skinny jeans and a pair of statement heels for chic evening look. Perfect for party season, we are loving this stylish start print!